Dream Mandé is a project created by Rokia Traoré in 2010, consisting of several shows (two or three) that can either be hosted by the same institution in the same country and presented in different places, or be hosted separately, depending on the circumstances. All the shows are based on acoustic instruments from West Africa, with a view to promote these instruments within modern artistic concepts. DREAM MANDÉ DJATA is structured around the griot tradition of oral history story telling. At the same time, it is a modern project born out of inevitable changes to the form that can complement the past using contemporary concepts, a vision or contextualized perception that goes against tradition. The narrative of the show adopts part of the story of Soundiata Keïta and the empire of the Mandé. The text is told in French or English in the manner of the griots, interwoven with classical songs of the Mandingo epic history. Rokia Traoré is accompanied by a ‘fina’, Mamadyba Camara on kora, and a djéli, Mamah Diabaté on n’goni. The musical monologue element unfolds as a musical structure that is created out of moments of total or partial withdrawal of the sound of the instruments so that we hear only the melodies and movement from the spoken or sung voice. 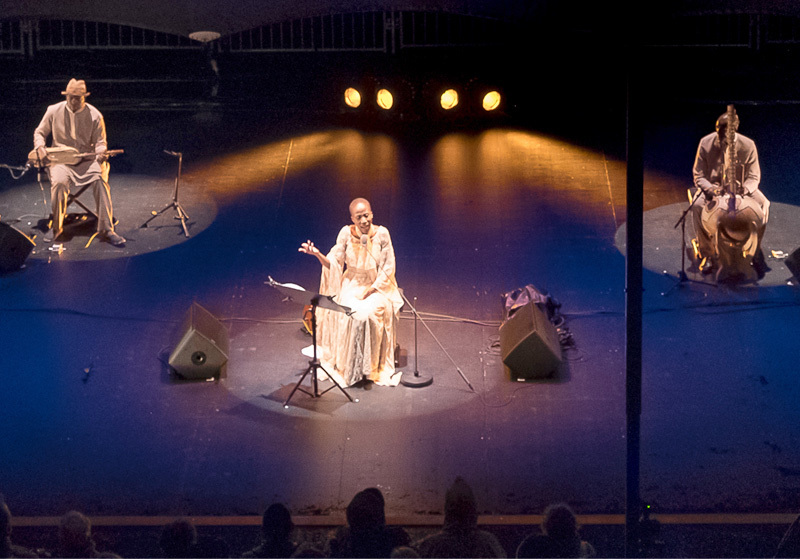 «While griots do not always agree on the precision of time and facts of history, in the repertoire of the Mandingo epic each melody has a meaning and has been composed or modified for a specific occasion and marks a precise time or period in the history of Mandé, says Rokia Traoré. With this project, it is not only the interpretation of classical songs that interests me but also the natural, intense and profound dramaturgy found within the griot tradition of story telling. My ambition is to transcribe a griot story outside the Mandingo language while preserving the meaning of every gesture, every word, every original belief “. DREAM MANDÉ BAMANAN DJOUROU is a music show based on covers of traditional Bambara songs and adaptations of French songs (Jacques Brel, Léo Ferré). 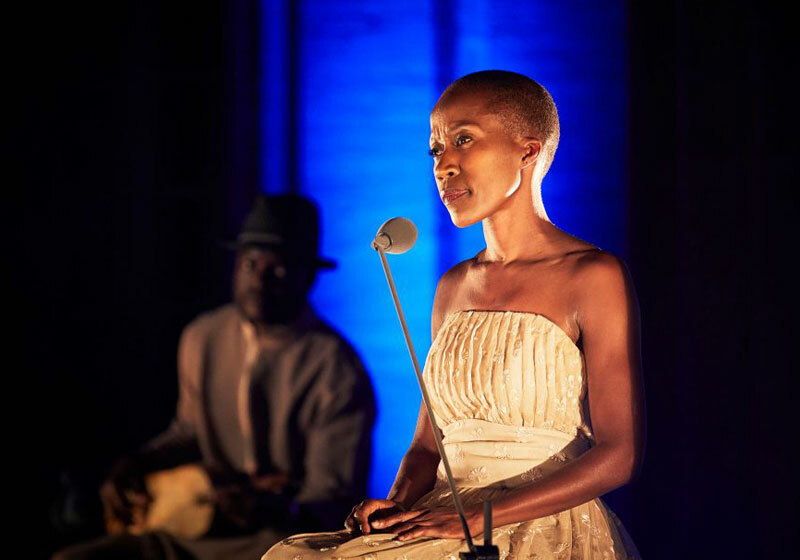 Five musicians and six female singers led by Rokia Traoré are taking part in the show, made of vocal and instrumental arrangements of traditional melodies, resulting in an artistic body of work which, in the end, deviates significantly from traditional music and offers outstanding harmonies and rhythms. Instruments: Kora, ngoni, bolon (traditional double bass); guitar; calabash. 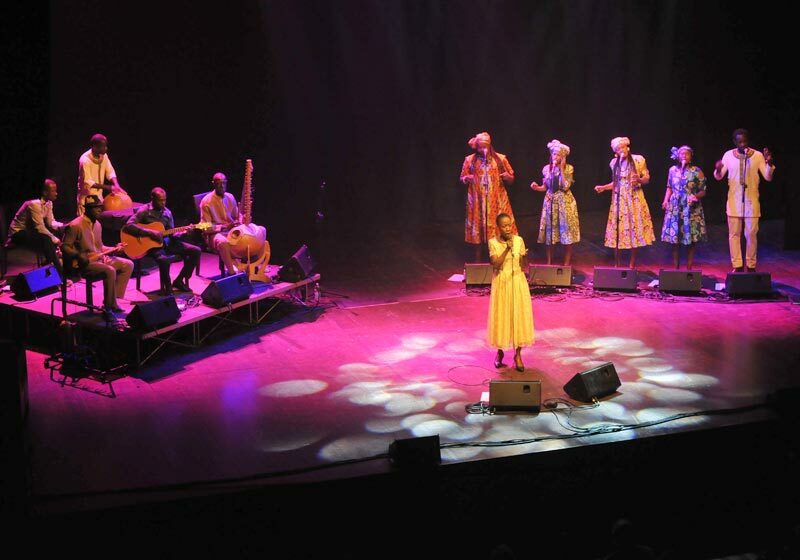 Vocals: six singers and Rokia Traoré. 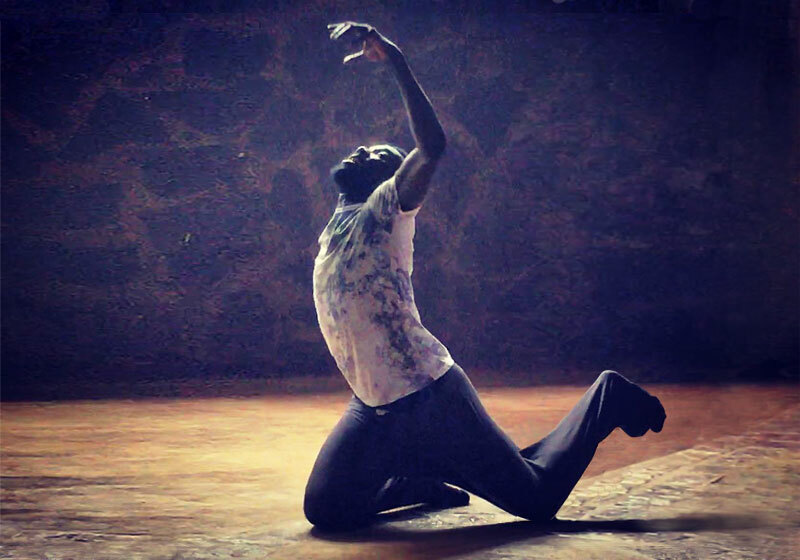 Dance piece by choregrapher Serge-Aimé Coulibaly in May 2018. The rehearsals at the Foundation went well! International co-production, this new work is on tour. 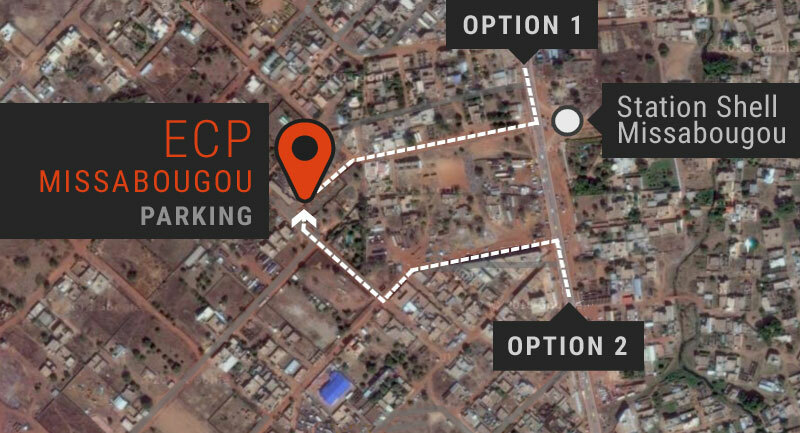 With the dancers of Faso Danse and the live band of Foundation Passerelle – ECP Missabougou. Musiciens: Ali Keita (balafon), Saidou Ilboudo (drums), Yohann Le Ferrand (guitar), Mohamed Kanté (bass), Naba Traoré &amp; Virginie Dembélé (chant).